There is a reason your pond needs to be cleaned, there is also a reason why you found this article. We beat the rates of Hill Country Water Garden & austinpondcleaning.com. Pond cleaning is a dirty nasty job. Our company will clean any pond once even if the ponds that are so bad we get sick. I’m sorry to have to say that but there are some disgusting ponds out there at least before we clean them. Prices all depend on the size pond and what all is in the pond. There are special occasions where we will give 10 to 20% off a pond cleaning service if we can salvage pond plants we would normally thrown away. We will always find the plants a great home. Not only will you get your pond cleaned, treated and we will even teach you how to take care of your pond so it doesn’t get out of hand. We also time lapse your pond cleaning with a 11mp camera for you and others to watch. Here are a few videos of pond cleaning. Both these pond cleaning were under $500.00 and one of the ponds got 2 new plants for the pond. Pond also comes with treatments for the initial cleaning and enough for you too use for the next month. If you want a year supply please let us know before the day we come out to clean. We do not service uv light systems because the just mask the problem in the first place. Our goal is to clean your pond, educate you on a proper pond eco system, and what all is entailed in keeping that eco system. If your pond needs more plants, if your over feeding fish not using the proper product, I will let you know and we will get you all fixed up. Pond cleaning also includes catching your fish, housing the fish and making sure they are very comfortable in there Hotel on vacation while their house get cleaned. 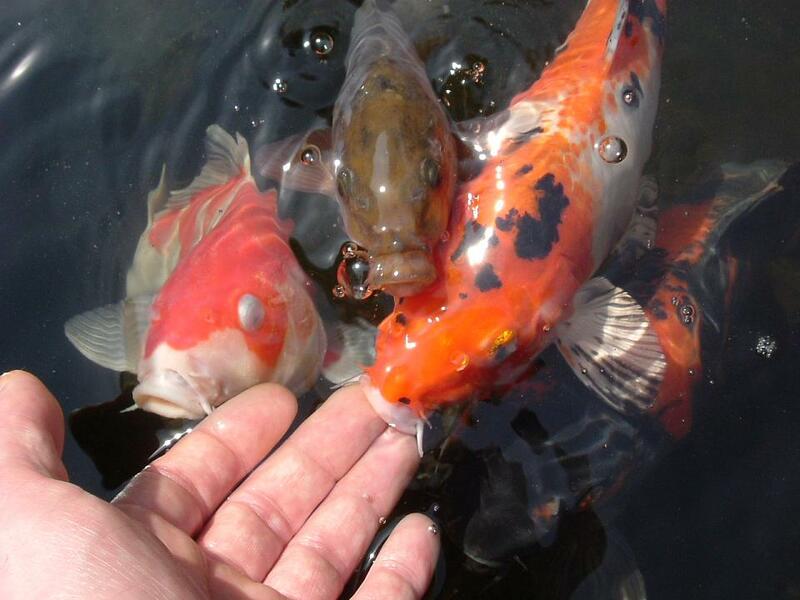 We use air diffusers and soft nets to ensure koi safety as well as chlorinate the water before returning the fish.